As the population of the earth continues to rise, human/animal conflict is a huge problem. As we approach the 7 billion people mark, the space afforded to those that struggle to defend themselves is getting critically small. Take lions for an example: in the 1940’s close to 400,000 of these iconic beasts roamed the African continent. Today, there are probably less than 30,000. That is a 92.5% loss of the entire species in 75 years! Many attribute this devastation to the hunting industry, and whilst mankind’s bloodlust is no doubt a factor, the simple fact is that we are expanding at such a damaging rate that we have inhabited 90% of their land. If one looks at the amount of ‘protected’ land dedicated to them, the numbers are about right. Namibia however is an exception to the rule. In a country spanning 825,000 square kilometers, a mere 2 million people reside. If you take Great Britain as an example, it is more than three times smaller and London alone houses in excess of 6 million people! The result is simple: more land, less conflict. This is not to say that humans and animals do not come in to contact, merely that there exists a mutual respect for each other’s needs. 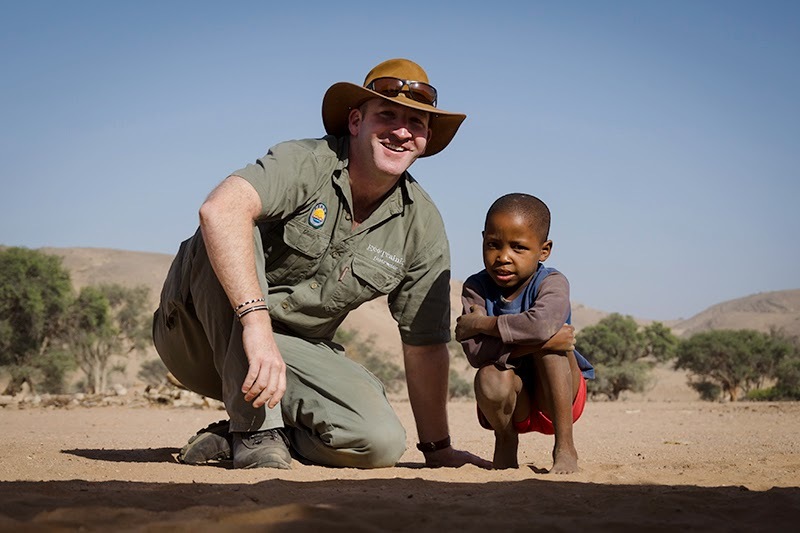 The people of the rural areas of Namibia have learned to live amongst the indigenous wildlife instead of persecuting it. 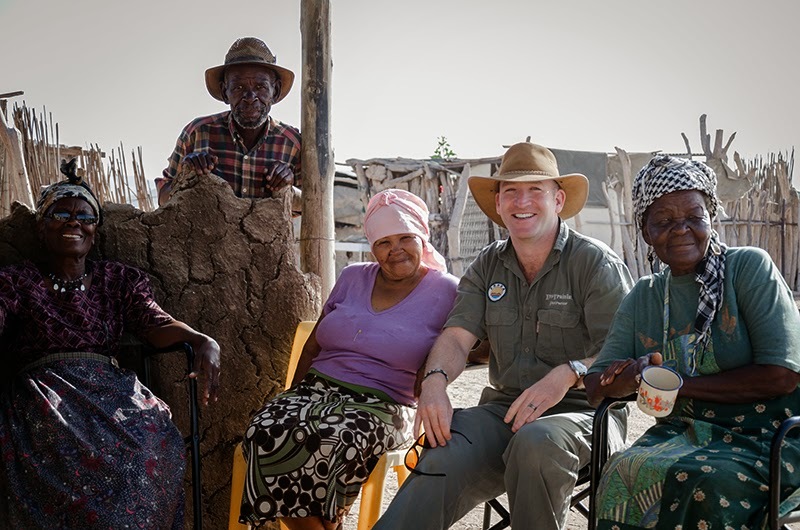 During the recent EcoTrainingcourse in Damaraland I was fortunate enough to visit a local village that did exactly this. 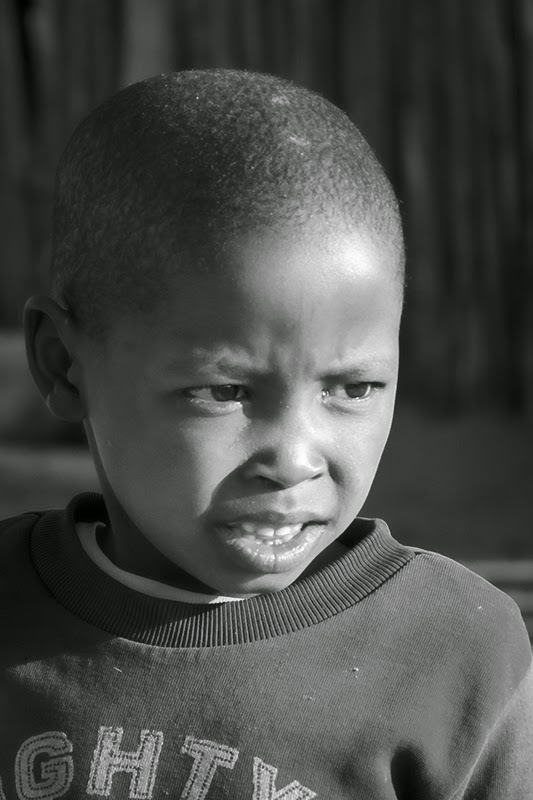 In the middle of the epitome of nowhere, De-Riet is a small community of ex-South Africans who were forced to move out of their land by the increasing pressures of the Apartheid regime. A small group of people finally settled next to the Huab River in an attempt to make a new life for themselves. 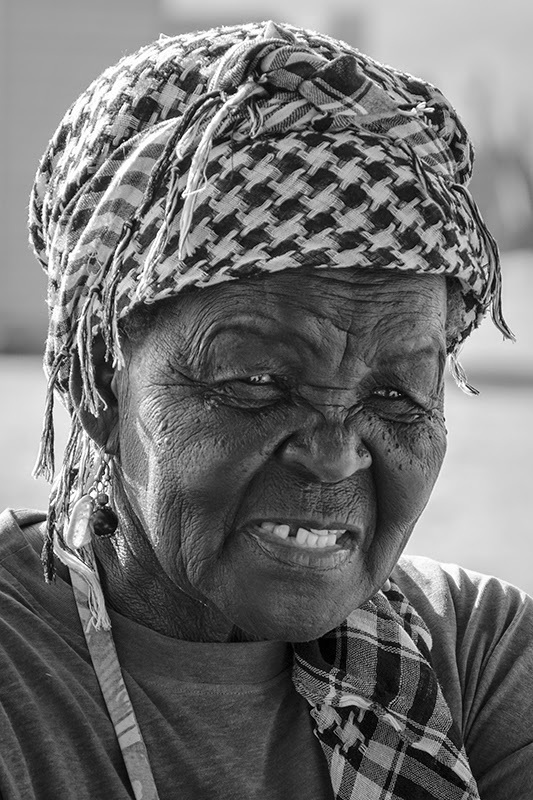 Such was their happiness in this desolate paradise then when Nelson Mandela took office in 1994, he invited them to return but the people of De-Riet politely refused his offer in favour of their new home. Basic accommodation and harsh conditions have done nothing to dampen the resident’s hospitality however and as we drove past one morning we were waved in for a refreshing cup of tea! 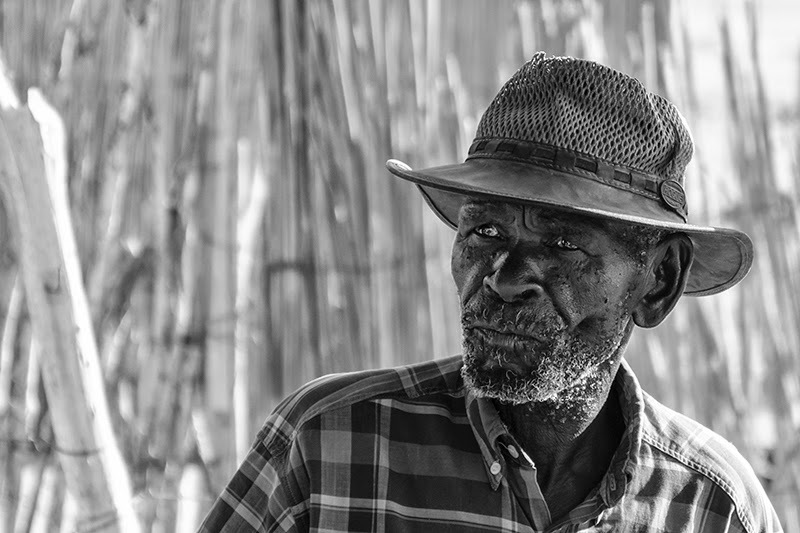 For the next hour some of the village elders regaled us with the moving and emotional story of how their former life was destroyed by Man’s petty squabbles and their journey to perhaps one of THE most raw, dramatic and beautiful corners’ of the planet. Many of the residents had taken to working with the local wildlife and were involved in conservation whilst other chose to fullfil more traditional employment at larger population centers. All however shared one common ethos – that of living in harmony with nature. 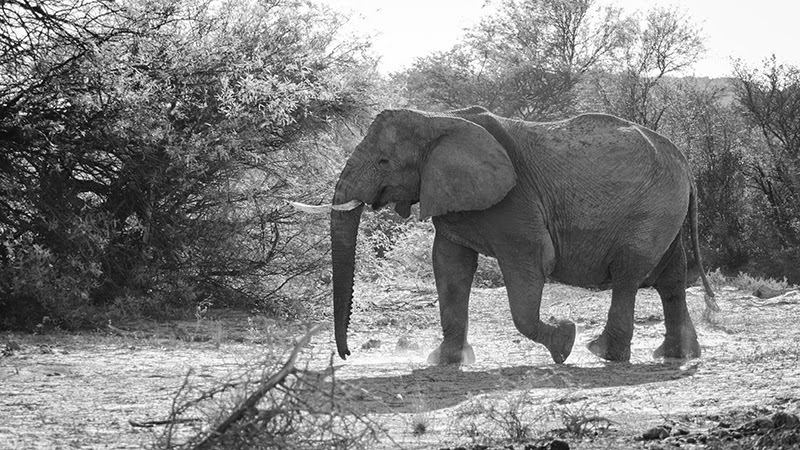 The people of De-Riet share their oasis with unhabituated desert elephants and a whole host of less intimidating game. 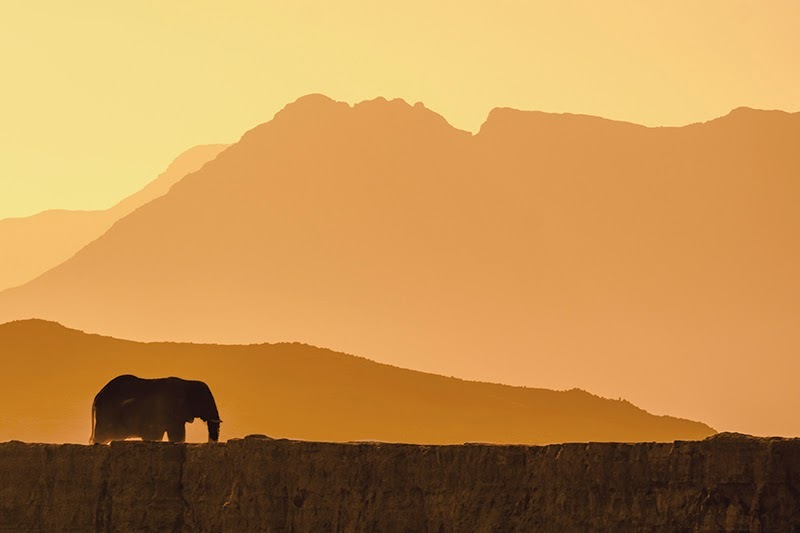 Elephants are daily visitors to the village to make use of a water point but there is no discord. Perhaps because their settling here was so recent in the scheme of things, the locals embrace their neighbours with respect and indifference. Each keeps to their own business and unsurprisingly, conflict is all but absent. In the 6 weeks I spent in this remarkable country I was privy to experiences from extraordinary topography to exquisite wildlife but my morning at De-Riet is one of my biggest highlights. It was so refreshing, in a world where mankind is at constant war with its fellow inhabitants it was delight to spend time with people living in harmony with their surroundings instead of trying to destroy it. Not only that, but with the future of our planet in the hands of the younger generation, it was wonderful to see young children growing up with this mentality ingrained in their psyche. I am not naïve enough to suggest that there is an easy solution to the problems that face the future of the natural world due to our expansion but it was inspiring to meet real people in a real situation who embrace what makes our planet so special. They are role models for us all.